Set in a typical English village and the surrounding countryside, this good-natured mystery will delight with its entertaining cast of humorous characters. A Murder in Nether Bumble is available on Kindle and in paperback now! 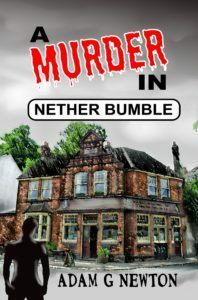 A Murder in Nether Bumble is a cosy mystery (or cozy mystery if you spell in American) set in the same area as the Bentley Hill Players stories. It is a standalone story and does not need to be read in conjunction with the Bentley Hill books. Enter your email address below to keep up with the latest news and freebies!